Teaching math to kids can be challenging, particularly at young ages where students are still learning the core concepts. However, using games as an educational tool can be an effective way to keep students engaged in the lesson -- especially at those same young ages. Math games allow kids to use their knowledge of math facts and concepts in new ways and environments, and ask them to apply what they know in a competitive game for entertainment. Teachers, and even parents, can make math board games for kids to play. Here is a simple list of games suitable for math students -- but any number of games can be adapted for use in teaching math skills. A tic-tac-toe math board game is one of the simplest math games to try, at home or in the classroom. The board game uses a regular tic-tac-toe game card with squares that each contain a math problem. The math problems must be appropriate for the math facts that the students are learning, but can be adapted to nearly any level of math education. Two students play against each other with 1 tic-tac-toe board to see who gets the Xs or Os in a row first. Every time a student answers the math fact correctly, that student places his or her X or O on the square containing the solved problem. If a student fails to answer the math problem right, they do not put anything on the square, and instead the turn goes on to the student's competitor. Much like a traditional game of tic-tac-toe, the first player to get three Xs or Os in a row wins the game. A board game race is a simple type of math game, featuring a customized play board that contains spaces for the players' pieces to move on. Teachers and parents, and even students, can create a board by drawing square spaces, that move around the board in a snake-like motion, with a starting point and an end point. The concept of the game is for the players to reach the end of the game board before their opponent does. Dice can be used as your prop for this board game. Each player takes turns rolling the pair of dice and adding the two numbers together to determine how many spaces to move forward. Because these boards can be drawn out on paper, poster board, or on the sidewalk with chalk, the game can be customized to suit the needs of your student. At the same time, students can be asked to use their own board game ideas to create a game in this style -- allowing students to share ideas and learn in a play environment. Bingo board games are an effective way for kids to learn how to identify numbers. Most appropriate for preschoolers and kindergartners, the squares on a number bingo board contain simple numbers. As the teacher calls out a number, kids must look for the number on their bingo boards and place a token on the square when they find the right number. The first student who has a column of tokens in a row wins the game. Four in a Row Multiply is a multiplication board game that requires a pair of dice, the board game and tokens in different colors for each player. The board game contains squares full of numbers. 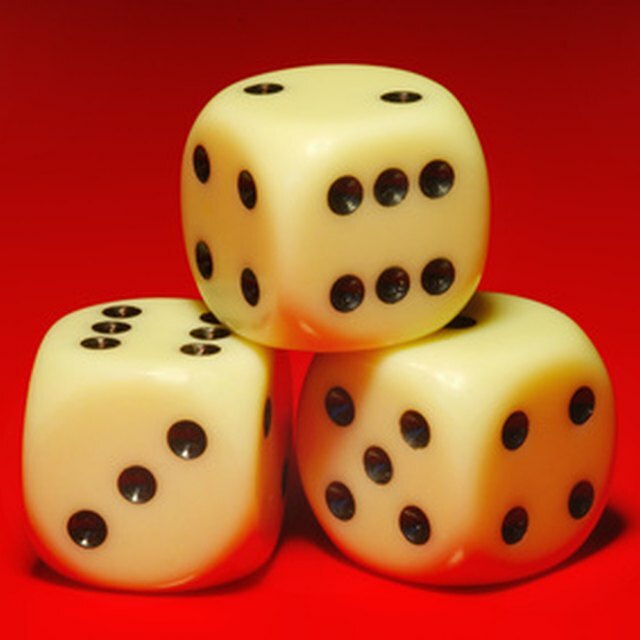 Players take turns throwing the dice and multiplying the numbers on the dice together. Then, the players must find the number on the game board. When the number is found, a token is placed on top of the square. The player who gets four squares in a row wins the game. Sheahan, Kyra. "Ideas for Math Board Games." Sciencing, https://sciencing.com/ideas-for-math-board-games-12748767.html. 19 October 2018.